A Christian classic that's inspired and challenged believers for more than four centuries! 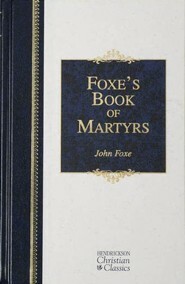 From the stoning of Stephen to his own perilous time---Reformation-era England---Foxe chronicles the lives, suffering, and triumphant deaths of Christian martyrs and traces the roots of religious persecution. Includes a preface that places Foxe's masterpiece in spiritual and historical context. 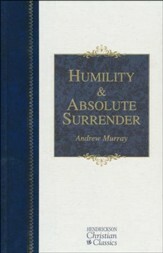 377 pages, hardcover from Hendrickson. 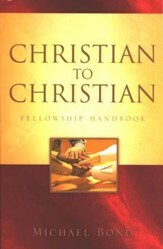 "I picked up this book soon after making a commitment to Christ. At first I was shocked by the images of Christians suffering and dying for their faith. But soon I was drawn into the accounts of how these ordinary men and women--no different from you or me--could face every kind of opposition rather than deny their Lord. Reading their stories marked me and helped me resolve to follow Christ no matter what the cost." 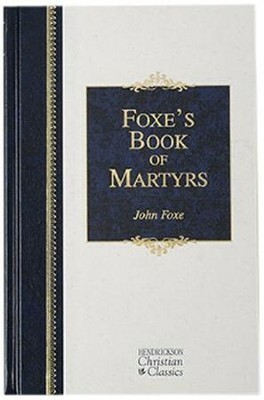 From the first-century stoning of Stephen through his own perilous time--Reformation-era England--John Foxe recounts the lives, sufferings, and triumphant deaths of dozens of Christian martyrs. [Some were people of rank and influence. Some were ordinary folk. Some were his friends.] Four centuries later, these deeply moving accounts of faith and courage mark a path for modern Christians to measure the depth of their commitment. 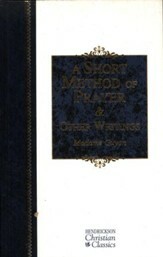 This edition, edited by William Byron Forbush (1868-1927), contains Foxes original material as well as some later additions (see chapters 5 , 6, & 10 particularly). John Foxe (1516- 1587), was an English Puritan preacher and author of The Book of Martyrs, a graphic and polemic account of those who suffered for the cause of Protestantism. 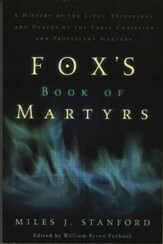 I'm the author/artist and I want to review Foxe's Book of Martyrs, Christian Classic.